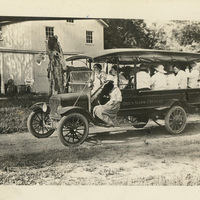 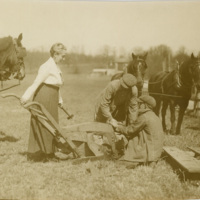 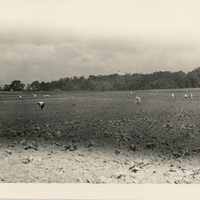 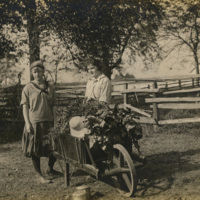 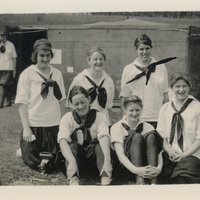 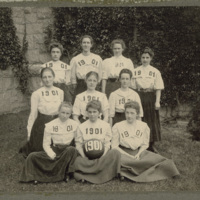 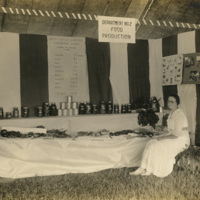 Written on the back of original: Bryn Mawr College Farm 1917. 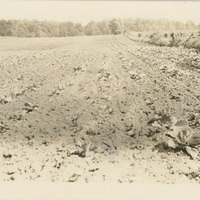 Cabbages – (would the worms never cease their infiltration tactics. 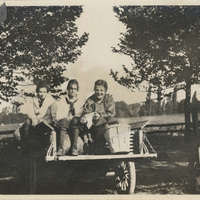 Printed on back of original: Off to the Farm.